A Somerset private school asked us to quote for a new electrical installation project, outside the scope of usual holiday maintenance. 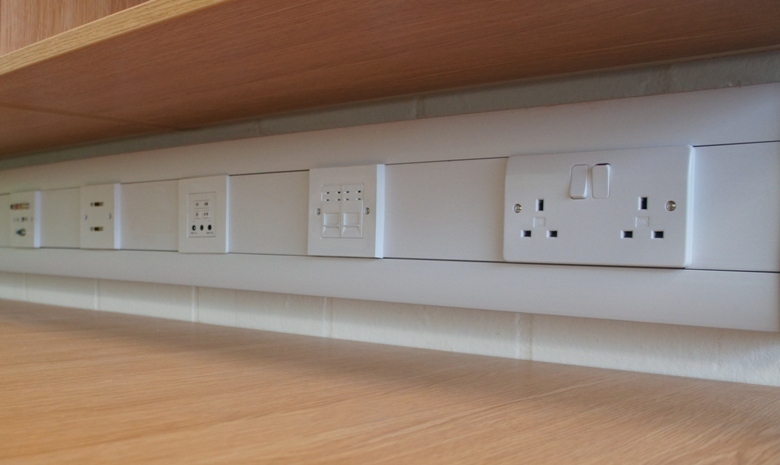 The school required a commercial electrical installer that could deliver their requirements within the tight school holiday time frame, and had qualified electricians that were CRB and DBS checked. The school was an existing client so we were familiar with the infrastucture, but it was great to get stuck in to a project of this scale. Stage one was a complete panel board upgrade followed by an electrical refurbishment to 18 classrooms, entrance halls and service ways. The installation included electrical points, data points, overhead projectors and new LED lighting system with absence detection. Careful project management was key here – these classrooms would be in constant use when the new term started and it was essential that all systems were fully operational before the students returned. I’m pleased to say that the old adage about proper planning preventing poor performance was as true as ever and the project was finished on time and on budget.